It is always hard to guess when the cherry blossoms are full of beauty every year. 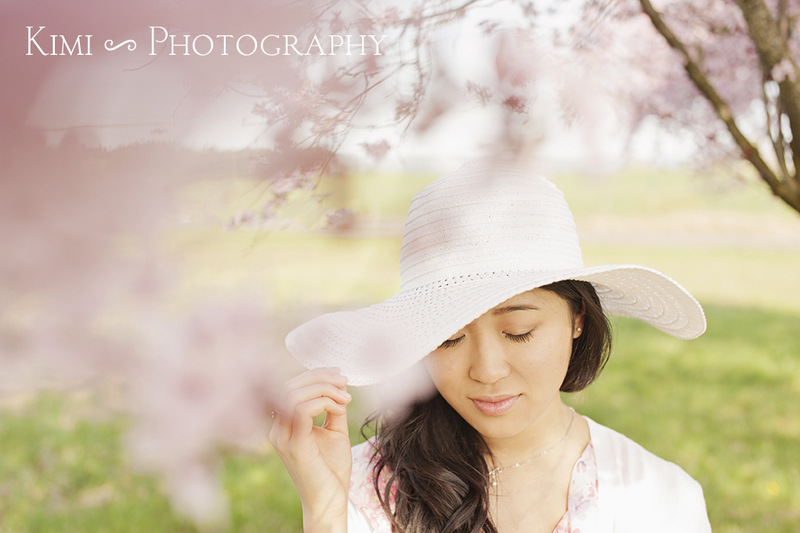 These last three years, I went back to Japan to shoot portraits and weddings during the cherry blossom season. This year, I decided to stay in Portland and take some portraits here. 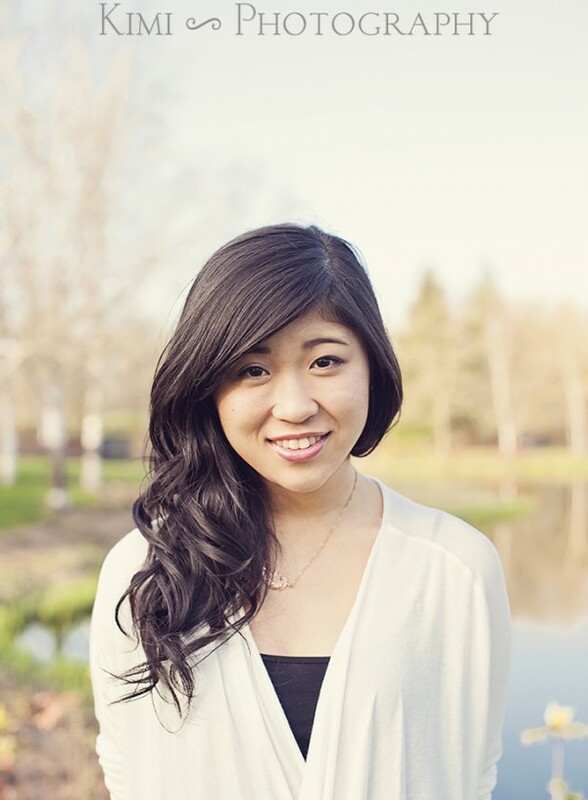 She has been asking me to take her senior photo since she started high school. I feel so honored that she was excited about me taking her picture for so long. I met her for the first time about 5 years ago. I still remember when she was running around at the church and tried to tease her older brother…. I still can’t believe that time goes by that fast. First our plan was taking photos at the waterfront in Portland Oregon. However, we decided to do the photo session in Hillsboro Oregon. The cherry blossom trees at the waterfront are beautiful and well known in Portland. If you are looking for somewhere to take landscape photos, I think that is great place to go. However, the trees are pretty tall so taking closeup portraits don’t work as well as some other places. So we ended up going to Hillsboro farm area and found some lovely Yoshino and Okame cherry blossom trees. 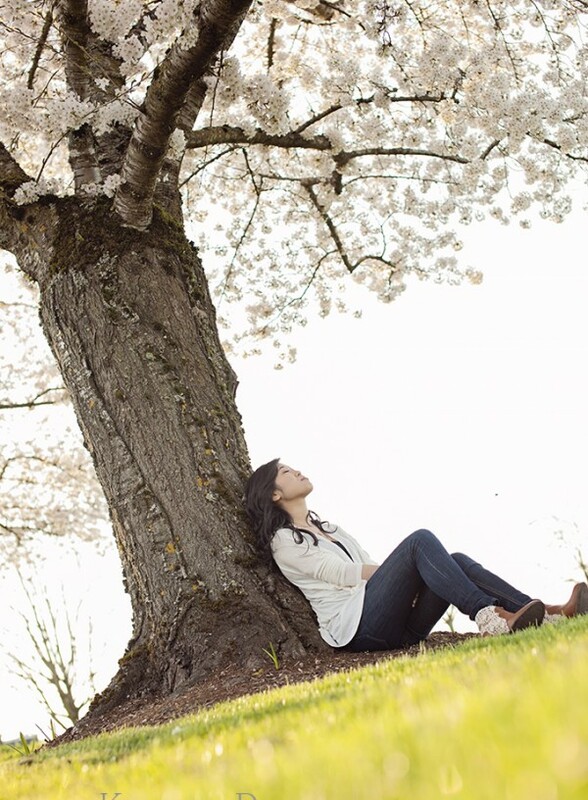 These are the kind of cherry blossom trees in the US that she wanted to take pictures with. Fortunately, I could find the lower branches around the area and less people! We also went to Dawson’s creek in Hillsboro. It is one of my favorite parks. Do you remember your part time job in high school?? 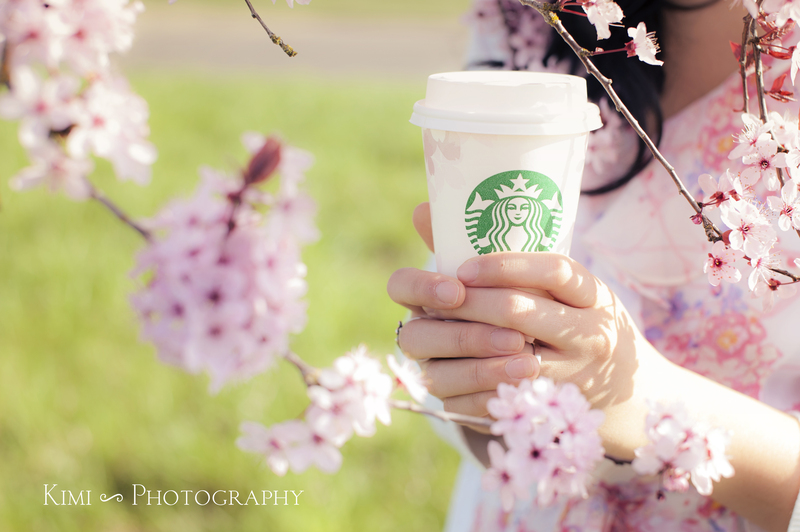 She loves Starbucks and has this cute cherry blossom cup that she got in Japan. Now she is a barista there! Starbucks is recruiting talented people through their addictive good coffee 😉 Start them young they say! She is really interested and learning worship music, I’m excited to see where she goes in the future.